With a blend of 7 different protein sources, added glutamine to support muscle growth, recovery and repair, and a vitamin and mineral blend to boost your energy and improve protein synthesis, Vyomax® Deluxe is a superior, great tasting, muscle building supplement. Recommended Use: As a dietary supplement, mix one 56g serving ( 2 scoops ) in 300ml water or milk, shake well in a beaker and consume immediately. 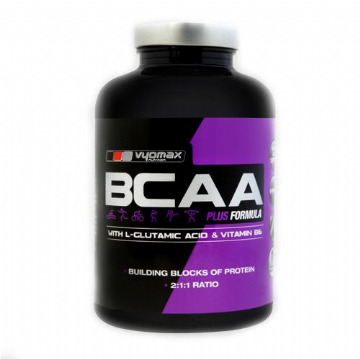 For best results Vyomax® Deluxe should be taken 2-3 times a day between meals.